I was familiar with the work of David Bowie from a young age, but I didn’t fall in love with the man and his work until 1999. That was when I played Omikron: The Nomad Soul, a video game that changed the way I felt about David Bowie entirely. David Bowie succumbed to cancer on Sunday January 10 at the age of 69. The artist and his eclectic body of work had only a small impact on me when I was a kid—the album The Rise and Fall of Ziggy Stardust and the Spiders from Mars was on regular nighttime rotation in the attic room of my grandmother’s house I shared with my older brother. Compared to the more pop-styled music my parents enjoyed it was alien and frightening. Growing up in the ‘80s I experienced the more elegant side of Bowie. Every radio station and music video program was playing “Let’s Dance” and “China Girl”, both fine songs that ultimately had about as much impact on me as any big ‘80s hit—background noise for better years, but not much else. By the time Bowie donned the tights of the Goblin King Jareth in 1986's Muppet-powered Labyrinth I was too busy doing the normal 13-year-old boy things to care. Lovely memories all ‘round, but none of these were my David Bowie. My David Bowie was a mystical digital god battling soul-hungry demons in developer Quantic Dream’s Omikron: The Nomad Soul. Having played Goblin Kings and strange beings from outer space, David Bowie’s role as cyber god Boz in the 1999 PC release (a Dreamcast version was released in 2000) felt like a natural progression. His understated performance as the enigmatic digital being gave the game’s warped dystopian future setting a depth of character it would have lacked otherwise. But it wasn’t David Bowie’s acting performance that affected me. Bowie worked closely with Quantic Dream on aspects of the game’s story, but his core contribution (along with songwriter and producer Reeves Gabrels) was the music. The songs Bowie and Gabrels created for Omikron were unlike anything I’d heard before, otherworldly tunes that fit the atmosphere of the game perfectly. Bizarre vocal harmonies and the use of unusual instruments (like psychedelic mainstay the mellotron) came together to create songs that were from a completely different world. “New Angels of Promise”, the game’s opening song, introduced players to a world that was one peripherally similar to their own. The deeper they venture into the game, the more twisted the world becomes. Eventually they run into the fictional band The Dreamers, whose unnamed lead singer sports a familiar face and even more familiar voice. That’s “Survive”, a song that never fails to make my heart ache. “I should have kept you / I should have tried / I should have been a wiser kind of guy / I miss you.” Those lyrics burn themselves into anyone that’s loved and lost, and hearing them in what is essentially a music video within a video game was a completely new experience to me. As demonstrated by the game’s performance of “The Pretty Things Are Going To Hell”, the animation wasn’t quite up to the task of bringing the strange fictional band to life, at the time it was a powerful device. 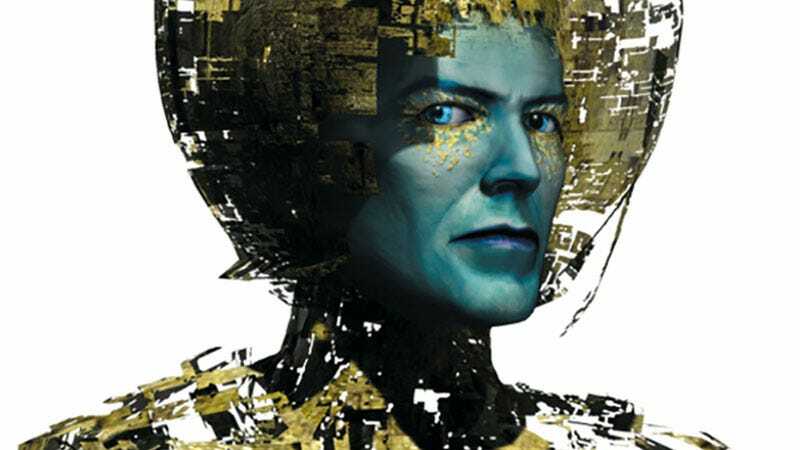 The music from Omikron: The Nomad Soul appears (with minor changes) on David Bowie’s 1999 album Hours..., which critics generally either loved or hated. Perhaps if they’d all had the added experience of playing in the world that inspired many of its tracks the album might have resonated more. To this day it remains one of my favorite things Bowie has done. The Omikron experience deepened my appreciation for the artist considerably, bringing those fleeting memories from earlier in my life into sharper focus. Now I look back fondly on those ‘80s tunes, and should his most popular song from the Labyrinth soundtrack come into play, I will indeed dance the “Magic Dance.” Even my earliest memories of hearing Bowie’s music have transitioned from scary childhood moments to something still dark, yet more magical than frightening. While Omikron: The Nomad Soul is Bowie’s most direct interaction with the gaming industry, his influence on creators and players alike is impossible to miss. The most obvious evidence of Bowie’s influence comes from Hideo Kojima’s Metal Gear Solid series. First came numerous references to “Major Tom” in Metal Gear Solid 3: Snake Eater, referencing Bowie’s “Space Oddity” and “Ashes to Ashes.” According to the Metal Gear Wiki, both songs were considered for ending songs for the game, only to be replaced as the game’s space themes became less pronounced during development. Then there’s Metal Gear Solid V: The Phantom pain, a game featuring the private military company Diamond Dogs, a name derived partially from the Bowie album of the same name. Indeed the game opens with a cover of Bowie’s “The Man Who Sold The World” by Midge Ure. And let’s not forget this image, which made the rounds a couple of years back. Coincidental similarity or no, it’s obvious that Hideo Kojima is one of the biggest David Bowie fans in the industry, but he’s certainly not alone. Just look at the ending credits song for Remedy Entertainment’s Alan Wake. Or the Gighee enemies from Final Fantasy VII, horse like creatures with shocks of blond hair and guitars for tails. As the Final Fantasy wiki points out (thanks Shadaloo Soldier), the katakana for Gighee can also be read as “Ziggy”. And in case that weren’t enough proof, the Gighee is always accompanied by a creature called a Christopher, which can only use its “Stardust March” attack if the Gighee it accompanies is still alive. Not to mention more overt Bowie appearances, such as Lucasfilm Games’ (they weren’t LucasArts yet) PC adaptation of Labyrinth. And of course Omikron: The Nomad Soul, the game that secured David Bowie a place in my heart. A game I won’t be able to replay from here on out without feeling a bit sad and empty.